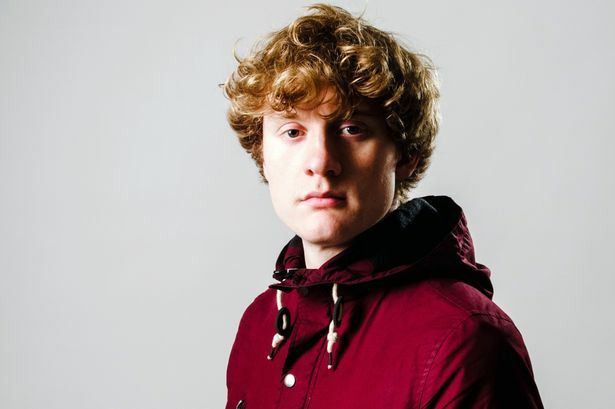 Comedian James Acaster plays Birmingham's Glee Club as part of the Birmingham Comedy Festival, he will also play Warwick Arts Centre and Bromsgrove Artrix. Birmingham and Black Country audiences are renowned for being warm and welcoming. Comedians often point out how they love playing this area as people are up for a laugh. But there’s always the exception that proves the rule – and James Acaster discovered it during a gig in Wolverhampton. It is seared in his memory as his worst-ever show. James, 29, winces as he remembers: “I was supporting Milton Jones on tour and we played Wolverhampton Civic Hall, which was full of about 800 people. “I went on and they just hated me. Everything I said was met by silence, until a man shouted something out. “I said ‘What did you say?’ and he said ‘ Are you deaf as well as crap?’. “Part of my act involves getting someone up on stage but the person I tried to involve refused to do it. Fortunately he had a warmer reception when he returned with Milton to the Glee Club earlier this month to help the Birmingham venue celebrate its 20th birthday. After three consecutive nominations for the Foster’s Edinburgh Comedy Award and appearances on shows like 8 Out of 10 Cats, the comic with the deadpan delivery is now doing well enough to headline his own tour, which includes another gig at the Glee as part of Birmingham Comedy Festival. At least everyone knows who they are buying a ticket for. “Often as a support act, the audience don’t really want to see you, so it is quite a hard situation,” sighs James. His latest show is called Recognise and deals with such issues as the politics of free banana handouts in Pret a Manger and the enigma of Dr Pepper. Plus the small matter of James revealing that he’s actually an undercover cop pretending to be a comedian. Isn’t that rather giving the game away? Not at all, he says, it’s part of his elaborate double bluff. “You don’t believe me, so there’s no harm done!” he cries. “I can openly talk about it and it’s almost the perfect cover. “I find Dr Pepper is a big inspiration. Who is he? He never reveals his secrets. “The whole drink is an enigma. James classes himself as a Midlander as he comes from Kettering in Northamptonshire, a fact he often mentions in his act. “I didn’t think it was funny before, it seemed quite normal a place to come from, but the more you mention it the more funny it becomes. “They talk about Kettering quite a bit in Peep Show. * James Acaster plays Birmingham’s Glee Club (0871 472 0400) on October 9 as part of the Comedy Festival. He also plays Warwick Arts Centre (0247 652 4524) on October 4 and Bromsgrove Artrix (01527 577330) on October 23.